Do you know which stock to buy or how to pick stocks? You may have heard some of the following: buy new highs, buy strong stocks in strong sectors, buy moving average crossovers or buy dividend stocks because they are safe. However, in many cases, which stock to buy is dependent on what type of trader you are. In order to know how to pick stocks, first you need to know what type of a stock market trader you are. For the purposes of this site, here are some types of traders and the types of stocks they may choose to buy. Scalpers and day traders generally do not really care about what they buy as long as the stock trades a lot of volume and is volatile or offers a short-term trading opportunity. If you are new to the stock market, you should not be in this group. These groups play a fast game and beginners are likely to lose a lot of their capital. A swing trader is looking for a short-term move lasting days to weeks. They would generally exit a trade at the first signs of weakness. A swing trader would likely be looking for a stock that is going in the same direction as the market but may go against the market direction in specific cases. A position trader is looking for a long-term move lasting weeks to months. They would generally try and ride most of an up cycle and hang on to the dips along the way. Position traders are looking for stocks were a change in trend has just occurred. Some examples of this could be a stock that has gone from bearish to neutral and appears to be now starting a bullish trend or a stock that has gone from bullish to neutral and appears ready to continue the bullish trend. A value investor is looking for a stock which is perceived to be selling for less than it will be worth in the future. 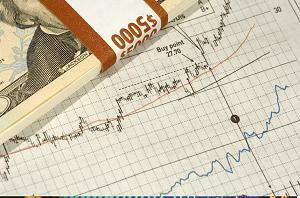 Value investors generally use fundamental analysis to try and determine what a stock is worth. Here, which stock to buy is critical due to the generally long duration of your holding period. Generally, which stock to buy becomes less important, the shorter your trading time frame. The volume a stock trades in a day may be a concern for you when picking a stock. If the volume is too small, generally less than 50,000 shares per day, it may be difficult to get out of the stock quickly. Also, if you are planning on buying thousands of shares, you may increase the price of the stock with your buying. However, if you are willing to accept the added risk, buying shares trading below 50,000 shares per day can potentially be rewarding. You should also follow a tried and true saying, "The trend is your friend." Simply put, you generally should not be buying stocks in a downtrend. For another approach on how to pick stocks or which stock to buy read Stan Weinstein's "Secrets for Profiting in Bull and Bear Markets."